Player websites are one of the interesting enigmas of 21st century soccer culture. per and andre could be the new schwarzenegger and devito. Most modern footballers — in their endless efforts to market themselves to maximize potential earnings — need a personal website to serve as the face of their public personas for both fans and potential suitors alike. It’s difficult to gauge how much of one’s personal life is posted on the site so that you don’t turn off anyone who could potentially exploit your image to shell their product in exchange for baskets of money, but still make it interesting enough that fans will want to visit in the first place (which in turn helps potential sponsors determine your value). They tend to be crap. So why do most player websites are awful? Some players’ websites end up sucking because their “really talented nephew” designed it for them, or one of their old buddies — who learned HTML back in high school — threw it together as a favor. While cheap and a great way to keep your closest fans feeling “involved”, these types of sites end up looking like a 90’s era Geocities website with cursor-trailers and revolving soccer ball icons. While I’m not sure that Nemanja Vidić and Chautémoc Blanco let a confidant build their sites for them, I am sure that they need to pay someone to make a new one for them like yesterday. just regular pictures of these guys standing next to each other is funny enough, but a whole website full of them would be better. Meanwhile, there are other players’ websites who are decently-designed and look clean and professional, but are still terrible because they’re never updated. Just as an a note to Rohan Ricketts and Owen Hargreaves, remember that when I visit your site, I want to learn about what you have going on right now… not what you had going on seven months ago. That’s not to say that there aren’t some good ones out there. In typical German fashion, Bastian Shweinsteiger and Christoph Metzelder have solid, clean designs. Australia’s new Al Jazira signing Lucas Neil has a proper site. There are stars of approval for Kun. And Ronaldinho was bound to have a good site, what with all of his Nike marketing guidance. But two of my favorites sites, hands down, have to be those of Arsenal’s Russian attacker Andrei Arshavin (arshavin.eu) and his new German teammate, Per Mertesacker (permertesacke.de). Which is odd, considering that both of them could probably be heaped into at least one of the categories above. While Arashavin’s site won’t be winning any design awards, it is palatable. It’s also rife with poor English translations, though that actually makes for great fun when reading it with John Malkovich’s “Teddy KGB” accent from Rounders. Sure, it’s regularly updated, but the Andrei’s golden goose is the reoccurring “Ask Andrey” series of updates. In these, fans can literally ask him anything and he will literally answer with anything back. These posts are famous in the footballing blogosphere — featuring prominently on Yahoo! Sports’ Dirty Tackle blog — and are well worth the occasional read. per website is epic-ly german. Mertesacker’s site, on the other hand, is one of my favorites solely because it’s a visual monstrosity of such epic proportions that I can’t help but love it. It’s one of those it’s-so-bad-it’s-goodscenarios, for me at least. It’s so quintessentially German that the only thing it’s missing is a picture of Per posing with David Hasslehoff. I mean, just take a look at all of the colors puking out of the screenshot of his homescreen to the left. Unfortunately, the site’s all in German, so we don’t know if his site is as unintentionally funny as Andrei’s is. Though with all of the ridiculous poses, it’s still fair to label his site as “craptasticly awesome”. 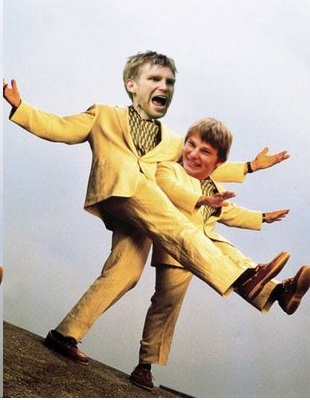 But imagine this: what if you could combine the best of both Arshavin’s site (completely random awesomeness) and meld it together with the best of Mertesacker’s site (ridiculous design and pictures)? You’d have the best damn footballer’s site ever… that’s what! The world’s first two-player website, which we could call MerteShavin.com… and before you ask, yes, the domain is still available. At this point I imagine you’re probably starting to question my sanity right now, but just me hear me out. Standing at just 5’7″, he’s practically a midget. He’s Russian, which on it’s own, naturally causes him to be odd and peculiar. His large repertoire of silly faces, such as the picture to the right. He seems to be outgoing yet very opiniated, as evident in ridiculous his blog postings. He’s stands 11 inches taller than his teammate, tallying in at 6’6″. He’s German, which on it’s own, means he’s probably a bit stiff and peculiar. He seems to be outgoing and open for anything, as evident by his ridiculous website. The two are probably the perfect compliments to one another, like Danny Devito and Arnold Schwarzenegger in 1998’s Twins. 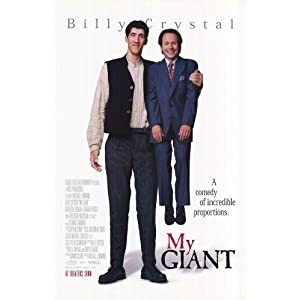 It’s an undeniable fact that the masses love the short-guy/tall-guy duos: in the movies with Billy Crystal and George Muresan, on the stage with comedian’s Penn & Teller, and even on TV with reality shows. This new website could catalog the adventures of Andrei and Per as they travel around Europe, dressed in the same clothes, playing pranks on Arsene Wenger. There could be videos of the two practicing their midget toss goal celebrations, clips of the pair attempting various obstacle courses, or pictures of Per lifting Andrei up on his shoulders so they could rescue stranded kittens from trees. I would especially love to see them both dressed in adidas velour track suits, bucket hats, sunglasses and giant gold chains acting like LL Cool J while holding hands. Why I would love this, I’m not too sure, but I would like to here arguments on how it wouldn’t be awesome. Hell, even if the site just posted regular training/game pictures demonstrating their severe height gap, I would still get a huge kick out of it. The possibilities truly are endless. We’re going to have to ask Andrei about it on his blog every week until it become a reality. And if nothing else, at bare minimum, we’ll at least get a silly response.